The 2017 G20 summit, the twelfth meeting of the Group of Twenty (G20), is being held on 7–8 July 2017 in the city of Hamburg, Germany. Those who say that US President Donald Trump violated a protocol by holding a "second" meeting with Russian President Vladimir Putin seek to undermine Trump’s authority, Russian Deputy Foreign Minister Sergey Ryabkov said Wednsday. 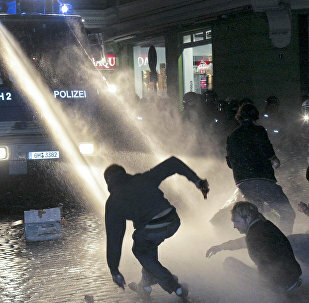 The 2017 G20 summit in Hamburg was accompanied by a panoply of security measures critics say bordered on dystopian – predator drones, robots of uncertain purpose prowling the sewers, water cannon, heavily militarized police, "no-protest" zones and more. German Justice Minister Heiko Maas now leads calls for a Europe-wide extremist database. 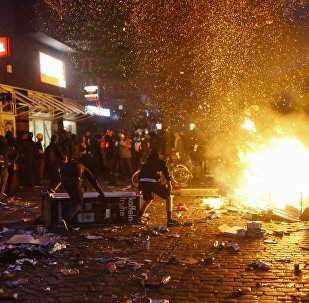 German Justice Minister Heiko Maas has sent a letter to other EU member states, in which the minister requests aid in prosecuting the radical protesters who took part in anti-G20 riots in Germany's port city of Hamburg, local media reported on Tuesday. "I have every understanding for peaceful demonstrations but violent demonstrations put human lives in danger," German Chancellor Angela Merkel said Friday. Her Social Democratic challenger took a more politicized stance against the anti-globalists. Germany achieved significant progress in discussing the practical aspects of the digital economy during its chairmanship in the latest G20 summit. 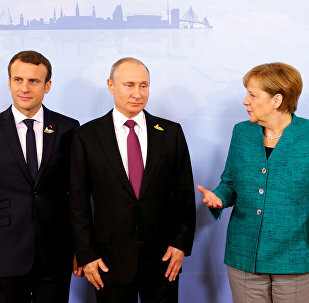 The Russian, German and French leaders discussed only the Ukrainian settlement at their meeting on the G20 summit's sidelines in Hamburg, German government spokesman Steffen Seibert said Monday. The United States is still ready to cooperate with Russia in the field of cybersecurity as proposed at the Group of 20 (G20) summit in Hamburg, Russia's G20 sherpa said Monday. 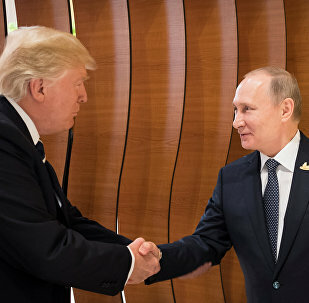 Russian and US presidents Vladimir Putin and Donald Trump discussed anti-terrorism efforts at their meeting on the sidelines of the G20 summit in Hamburg for about an hour, Russia's Sherpa in the G20 Svetlana Lukash said Monday. The meeting between President Putin and President Trump in Hamburg on Friday showed that the two leaders can work together on a personal level, but resistance from the US Congress makes a larger step forward in bilateral relations more difficult, Dr. James Brown, Associate Professor at Temple University, Japan told Radio Sputnik. Much has been said about the first-ever personal meeting between Presidents Putin and Trump at the G20 summit in Hamburg. 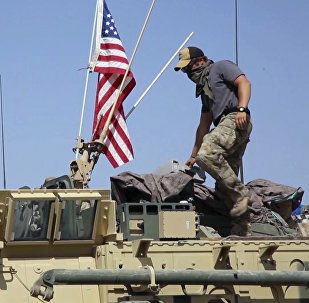 Even though there were no pompous declarations after the encounter, political analysts explain why the results of the talks are a real breakthrough with regards to the Syrian conflict. Results of the G20 Summit: Can a Consensus End the Wars in Ukraine and Syria? The second day of the G20 summit in Hamburg saw a whole array of significant talks, including those which brought together the Presidents of Russia, Turkey and China.